A floral dining table centerpiece, on one hand gives a fresh look to the dining table and on the other hand reflects to the decor of the entire dining room. One can choose to use natural or artificial flowers for decoration. 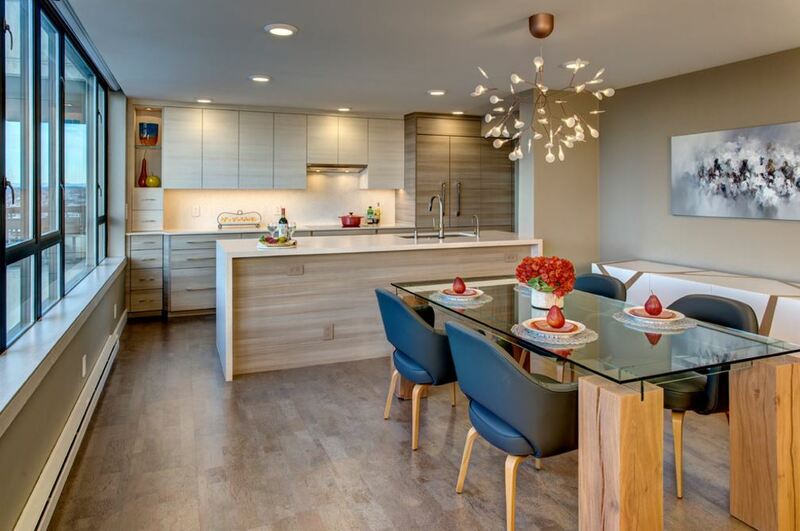 Here are some beautiful dining table centerpiece ideas to add flair to your dining space. 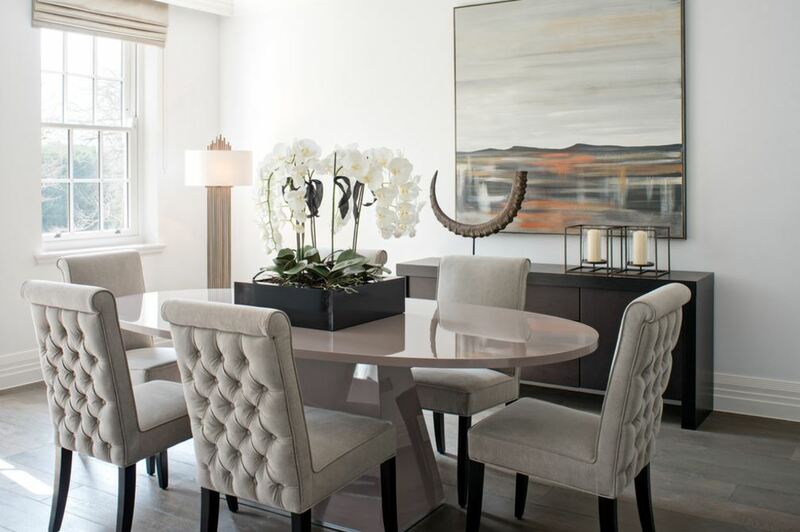 The white Orchids arranged in the square flower vase on the dining table highlights the beauty of the dining area. 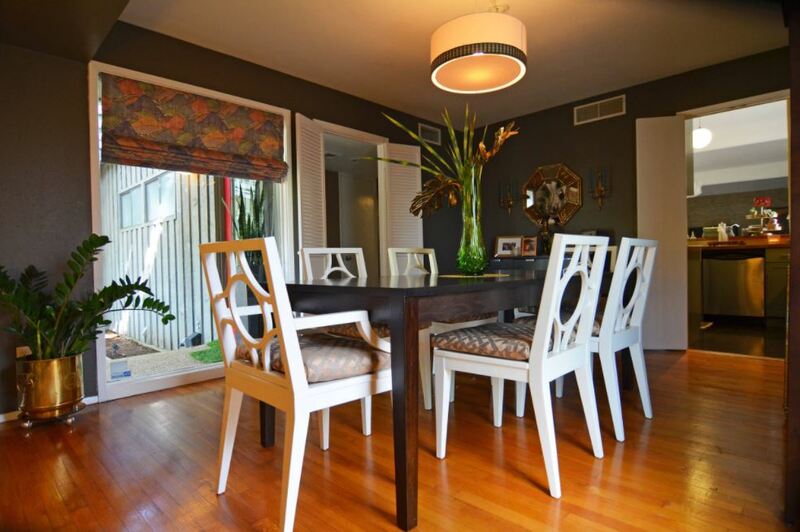 It stands out on the table looking smart with the upholstered dining chairs. This dining table has a glass top. 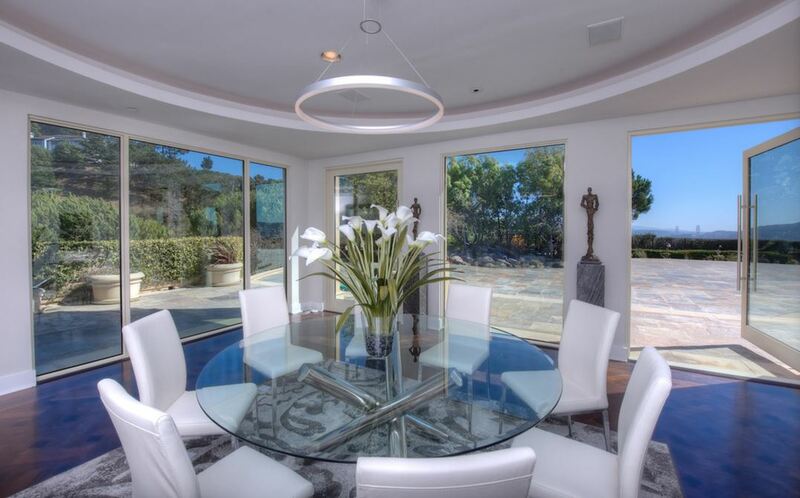 The nature outside is reflecting on it and the beautiful lilies on the dining table enliven the ambiance within. This splash of pink tulips as the dining table centerpiece has added a spark of energy to the entire atmosphere. The otherwise subtle upholstery has helped the tulips to stand out. Look at this wonderful flower arrangement in two simple glass pots. The decor and the paint color of the dining room are quite subtle and this medley of beautiful colors adds to its elegance. The lighting arrangement further enhances the beauty. 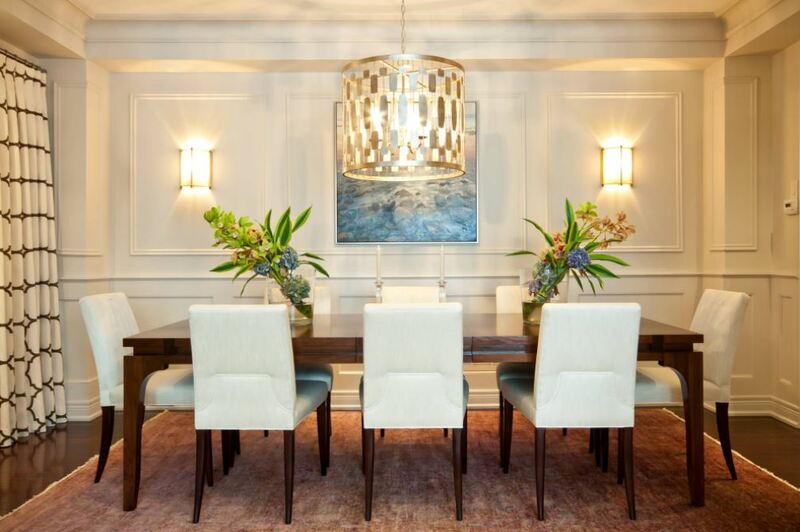 Everything about this dining room flaunts the excellent aesthetic taste of the owner. A huge round of applause for the brilliant crimson flower arrangement as the dining table centerpiece! The splashes of crimson color have been thoughtfully used in other elements too, thus brightening up the atmosphere. The designer seems to have stolen colors from nature to highlight the various elements of the dining hall. The simple floral dining table centerpiece is an extension to this fabulous idea. Look at this fabulous dining room with a bit of rustic appeal owing to the brick wall. The room is brightened further with the help of the thoughtful light arrangement. The bunch of chrysanthemum arranged in the wicker basket, flanked by the tall candles, gives a cozy look to the room. This dining table centerpiece is a beauty indeed! 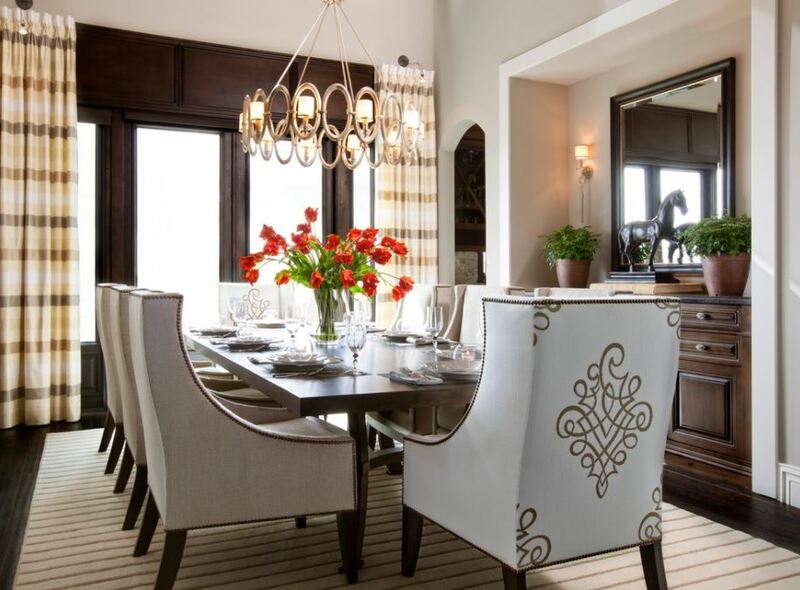 I love the interiors of this dining area. The chair has got a lovely pattern on it. Adding more to the elegantly laid down table are the beautiful flowers in the tall glass vase. A beautiful centerpiece indeed, adorned with a slice of nature! 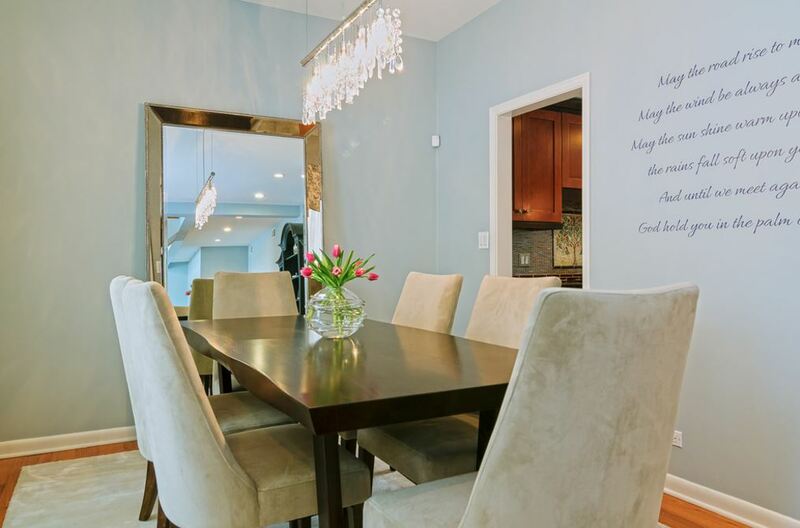 Blue is considered beneficial to mind and body hence this stylish dining room! 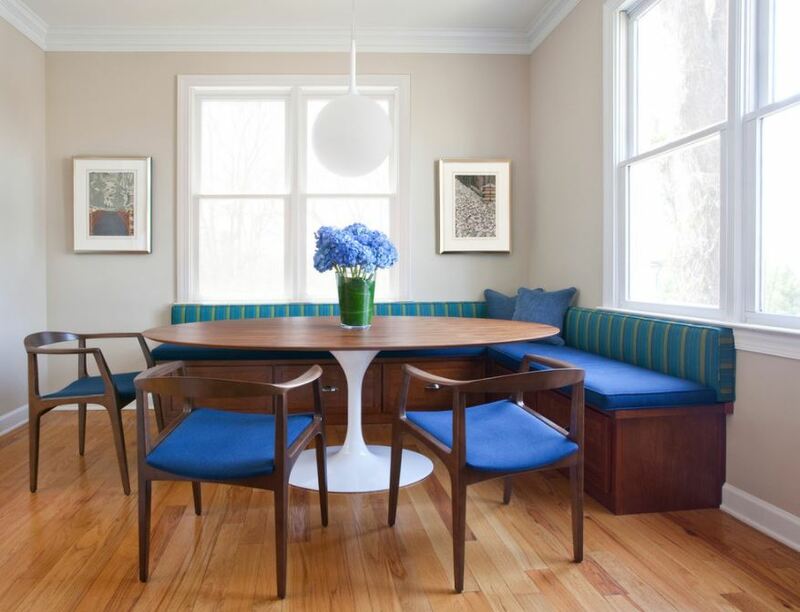 The simple flower vase with the lovely blue flowers and upholstery defines the concept further. 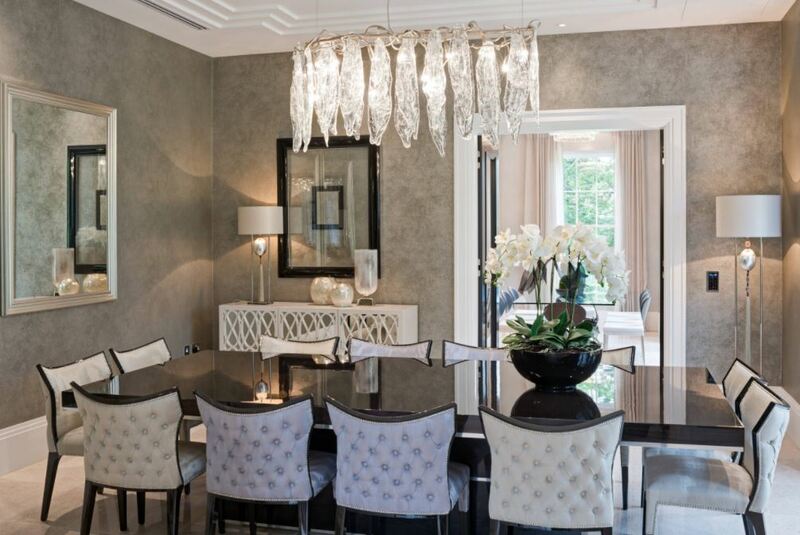 This dining area has got many stylish and elegant decoration pieces. Artwork and the vibrant wild flowers kept in the center add color to the room. Decorate it further by mixing print and patterns through the rug, curtain and the chair. 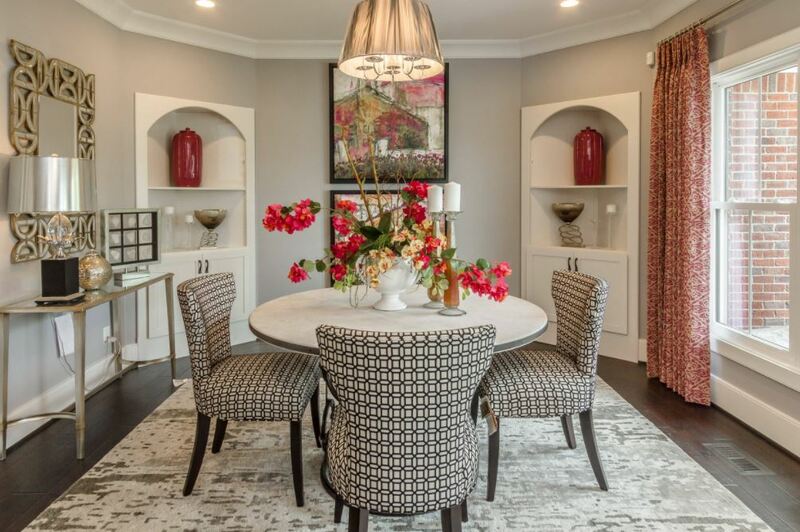 The flower vase as the centerpiece of the dining table is beautiful, simple and stylish. 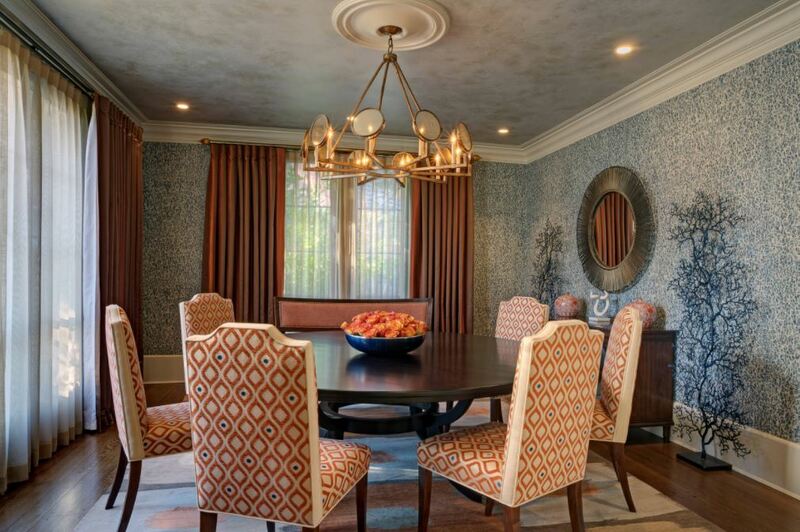 Textured wall, the draperies and the upholstered chairs are in perfect sync with each other. 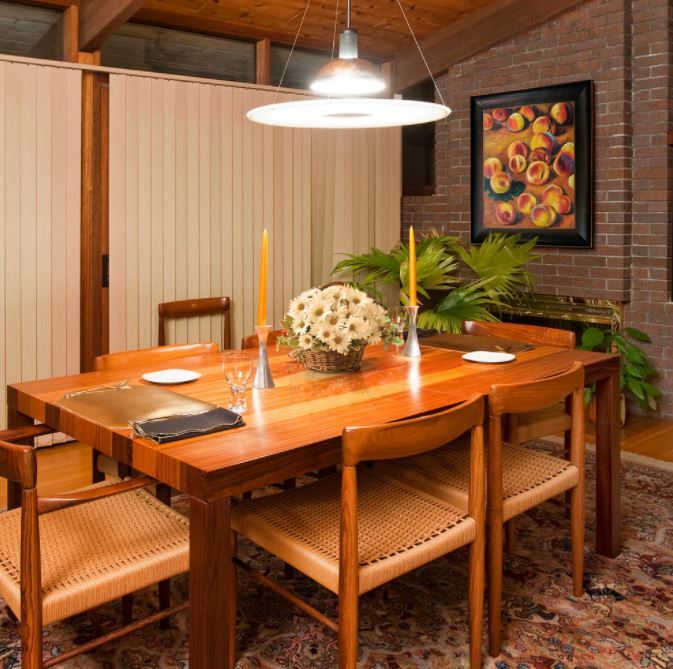 This naturally lit dining room is blessed with warmth, happiness and peace. The series of white floral centerpiece at the oblong dining table adds to the positiveness too. The color combination of white and grey extends a serene effect to the room. Enhancing its royalty is the stylish dining table centerpiece creation of the white orchids in a contrast black flower vase. The dark wall color lets the white chair pop and creates an intimate feel. The beautiful floral arrangement of the dining table centerpiece further specifies the concept. 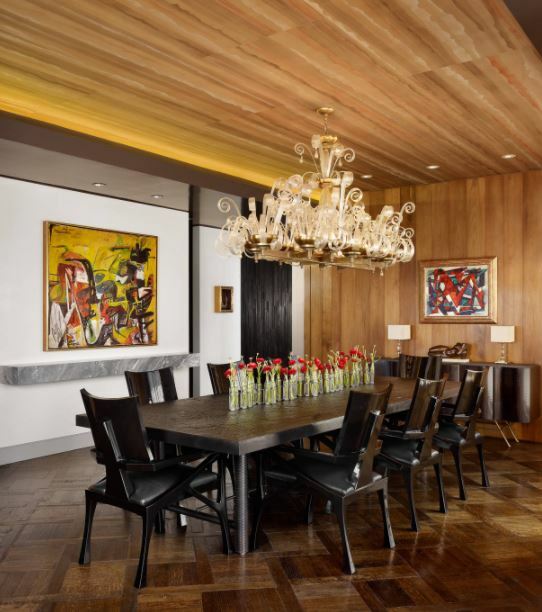 Starting from the wooden flooring and ceiling to the paintings on the wall, each and every element in this contemporary dining room is one of its kind. The magnificent chandelier accentuates the beauty of the slender jars used to house single stemmed flowers as the dining table centerpiece. This entry was posted in Dining Room, Dining Room Designs and tagged Contemporary Dining Table Centerpiece Ideas, Dining Room Table Centerpiece, Dining Room Table Centerpieces Modern, Dining Table Centerpiece, Dining Table Centerpiece Accessories, Dining Table Centerpiece Flowers, Dining Table Centerpiece Ideas, Dining Table Centerpiece Ideas for Everyday, Dining Table Centerpiece Ideas for Home, Dining Table Centerpiece Ideas Pictures, Dining Table Centerpieces Flowers, Elegant Dining Table Centerpiece, Flower Centerpiece Ideas, Formal Dining Table Centerpiece Ideas, Table Centerpiece Flower by Preeti Sinha. Bookmark the permalink.